Terming the country’s first semi-high speed train ‘Vande Bharat Express’ as a specimen of ‘Make in India’, Prime Minister Narendra Modi today scoffed at opposition leaders for mocking the ambitious project. Addressing a public meeting in his parliamentary constituency of Varanasi, Modi likened the criticism as an insult of Indian engineers and technicians associated with the train project. Lauding the employees and technicians of the Chennai Rail Coach Factory, where the train was indigenously designed and developed, the PM observed the nation was proud of their feat. “I salute the dedication of these engineers, who would in future successfully make the Bullet Train as well,” Modi said claiming he had been receiving letters from people commending the project and expressing dismay at the purported insult heaped at the ‘Vande Bharat Express’. 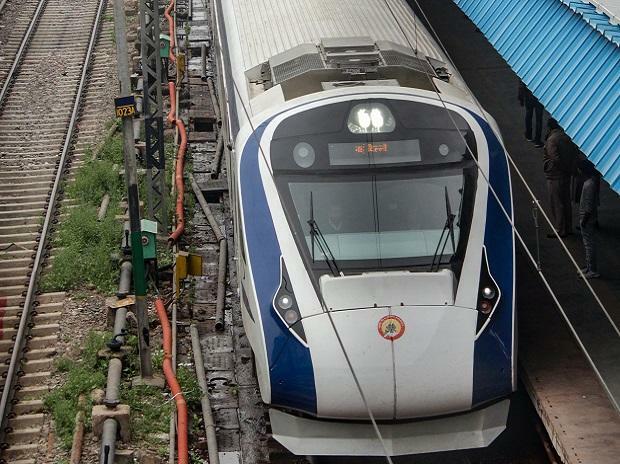 On its inaugural return journey from Varanasi to New Delhi, Indian Railways’ Vande Bharat Express had broken down early on Saturday, a day after it was flagged off by Modi. Samajwadi Party (SP) chief Akhilesh Yadav had attacked the Centre noting the snag developed by the Vande Bharat Express exemplified the development story of the country as a whole. “It is unfortunate that some people prefer to mock Vande Bharat Express...public should be wary of such persons, who are bent upon insulting our engineers and technicians, while also mocking the country’s achievements,” Modi said and asked if such individuals who rejoiced in deriding nation and its engineers be forgiven. The PM said the train project had in fact proved the mettle and capacity of Indian scientists and engineers even as he stressed that Railways was treading the path of transformation during the past four and half years of his rule. Meanwhile, he stressed that railways and road projects were paving the way for economic development and that the process would continue. On his 17th visit to Varanasi after getting elected as the local Member of Parliament (MP) and later PM, Modi inaugurated and laid the foundation of various projects totalling more than Rs 3,300 crore. Earlier, he also flagged off an electric locomotive converted from a diesel engine, which is the first of its kind project in the world. It doubles the haulage capacity of these converted train engines. The work on the project had started in December 2017. Modi also visited saint Ravidas temple to partake in the birth anniversary celebrations of the mystic poet, who has millions of followers in India and abroad.